Auto Body Collision Repair Business! 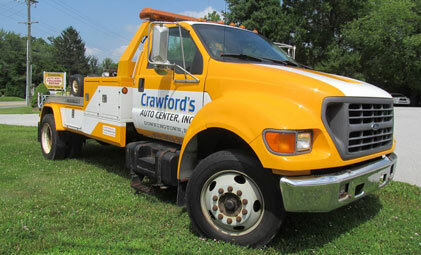 Crawford’s Auto Center, Inc. provides towing and recovery assistance to the areas surrounding Downingtown, PA 24 hours a day, 7 days a week. When a customer calls our 24-hour number (610-363-9111) they will speak to a real Crawford’s employee to assist them with their needs. We specialize in full-body collision repair most makes and models. From frame straightening to final detailing, Crawford’s Auto Center is your source for quality auto-body repair. Automobile Damage Inspection & Analysis. Please bring in proper vehicle identification. We stand behind our work with a lifetime guarantee on our body shop work. 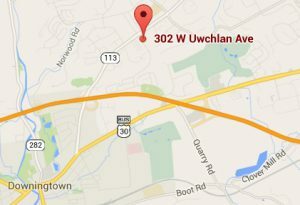 Centrally located in Chester County Pennsylvania, Crawford’s Auto Center, Inc. is a third generation automobile repair facility dedicated to providing our customers with a quality, professional service. Our facility specializes in collision repair, mechanical repair, towing & recovery and the storage of automobiles. Over 65 years of history provides our clientele with a deep-rooted understanding of what customers can expect from our service. PARKING BREAK OR EMERGENCY BRAKE?